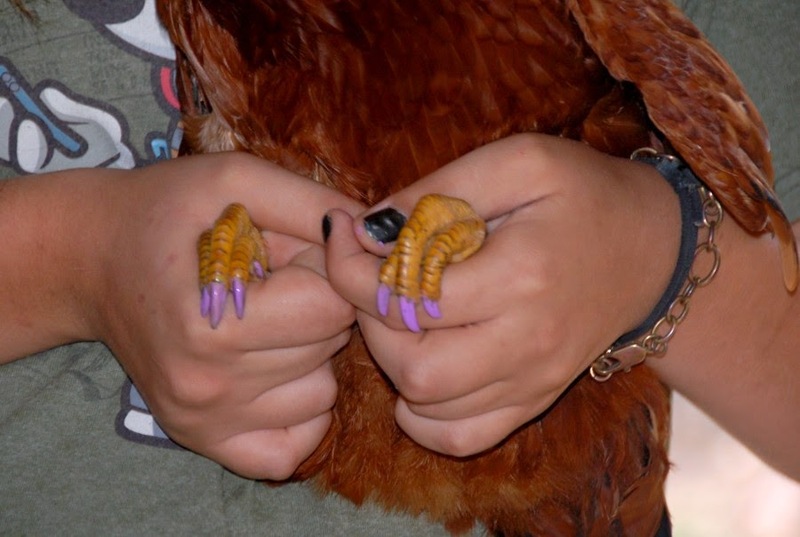 The goat pedicure went over so well (with Lizzy), that she decided the chickens were next (against their will)! And they do look fabulous (and quite odd)! 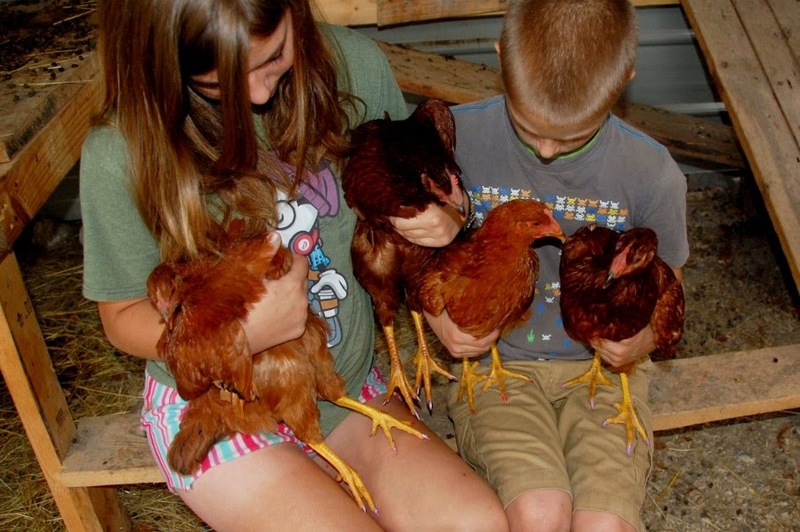 Accessorizing chickens on the RVstead. It just might catch on. Matt helped as the receptionist (aka chicken wrangler). And now that these "insignificants" are so fashionable, Lizzy named them Chelsea, Brittany, Courtney, and Fabulous. 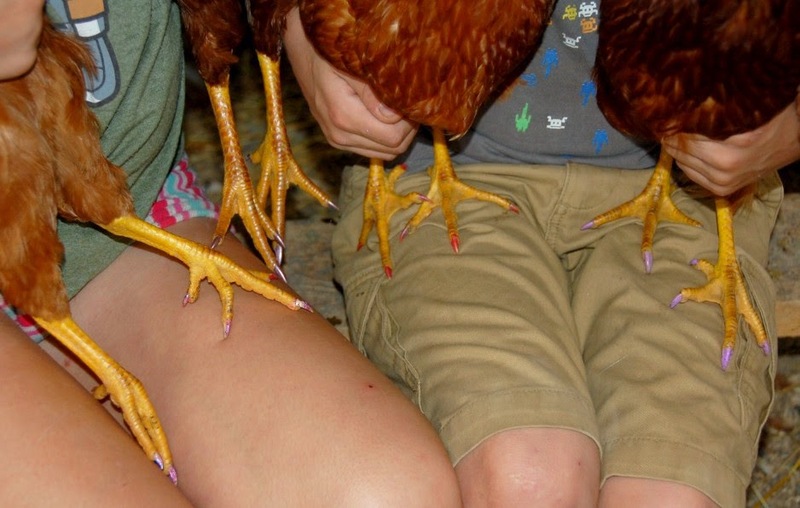 So this answers the age-old question: can you paint a chicken's toenails? Sure you can! Should you paint them? No idea on that one.